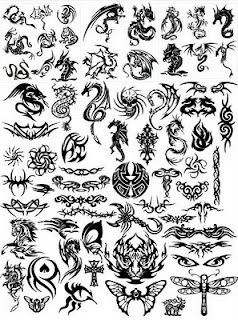 For anyone who wants a tattoo of dragons, this is the best I found on the web. If you know how to use the Firewors or Illustrator, or Corel also, here are a vector file in tribal dragons and also some extras. If you are looking to download this file, it helps me a lot to make new designs.